Vanessa and Reinis Visners chose Redding for their new home, they ere excited about the bucolic setting and the excellent schools where their two young children would be treated as individuals, not as numbers. At the time, they had no idea that Vanessa’s dream job would become available right in our school district. And, Vanessa is the perfect fit for the position of Supervisor of Special Services. Vanessa has been a Special Education Teacher in every grade from Kindergarten through seventh in NYC and Massachusetts. She was able to use her two masters in education & education policy & administration (From Mercy College and Boston College) as an Assistant Principal in NYC for almost 5 years. Upon moving to CT, she did IEP Compliance in Stamford K-age 21. Ms. Visners has an office at John Read Middle School over in the 5th grade wing. It is spacious and cheerfully decorated. Highlights are the photos of her family. Her husband, Reinis, is the Director of Curriculum and Instruction at a Public Charter school in Mount Vernon, NY. Vanessa speaks in a straight forward manner that is bound to put any child and parent at ease. She appears patient, dedicated and caring, just the combination needed for this important position. When asked to describe her job, she said, “I chair Planning & Placement Team (PPT) meetings and work with all stakeholders to develop a comprehensive plan to meet each students’ individual needs grades 5-8 in Redding & Easton. I also observe and evaluate staff in both districts pre-K-8, ensure staff are receiving timely and pertinent professional development, work with families to address concerns, collaborate with building administration to address concerns related to Special Services, and work closely with the Director of Special Services to ensure policies & procedures are in place to maximize transparency, efficiency, and services for students. We just created an IEP Manual for both districts to help us align practices which is very exciting! No two days are the same which is one reason why I love this work! Interim Director of Social Services MaryLou Torre and Vanessa Visners were both new in July. They believe relationships are the most important part of their work, therefore both are taking time this year to establish relationships with colleagues, service providers, students, and families in order to determine the priorities for the department. 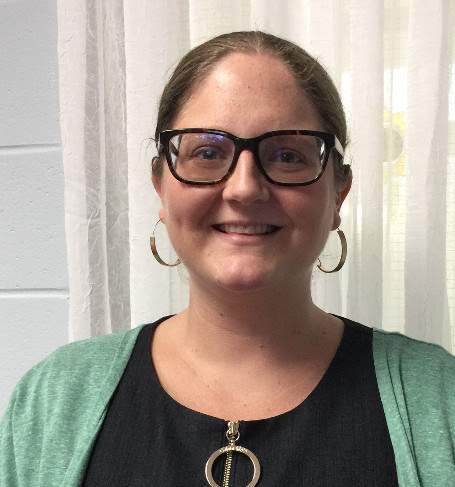 Vanessa said that they are focused on building on the current strengths of the staff while simultaneously building capacity across the four schools. Visners and Torre are both are very excited about the future of Special Services in ER9. For family time, they enjoy cheering on Buffalo sports teams, the Knicks, going for walks, exploring ther new surroundings, and having dance parties.They are looking forward to trying out the rink at the RCC. Buffalo? Our current weather probably makes the Visners family feel right at home.